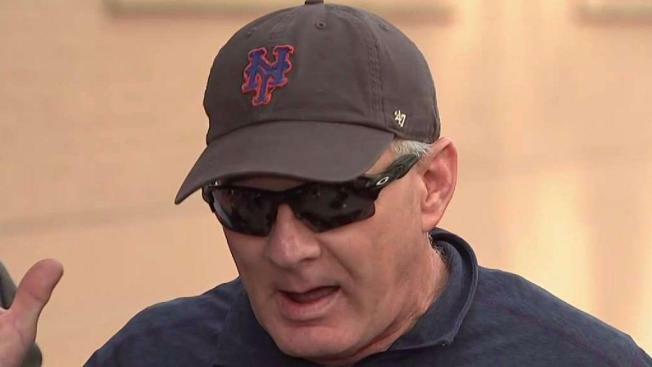 Ex-Met Lenny Dykstra, a three-time All-Star now perhaps best known for a series of bizarre and troubled incidents over the years, addressed his most recent fray -- an arrest over an Uber altercation -- at a news briefing, saying he was the one in fear for his life. Adam Kuperstein reports. Ex-Met Lenny Dykstra, a three-time All-Star who has faced repeated legal troubles over the last decade, has been indicted on drug and threat-making charges after an Uber altercation earlier this year. A Union County grand jury indicted Dykstra for cocaine possession, meth possession and making terroristic threats. The baseball great was arrested in late May after an Uber driver alleged Dykstra put a gun to his head when the driver declined his request to go somewhere other than his original destination. Dykstra's attorney denied earlier this year that the threat had ever happened, and alleged that the driver took the ballplayer on the wrong route to his destination, wouldn't stop his car and engaged the child locks to keep Dykstra from getting out.